A link to Stanford’s lawsuit. Stanford today (Dec. 20) filed both state and federal lawsuits challenging a new Santa Clara County ordinance that requires the university to build a certain amount of affordable housing if it’s allowed to expand. Stanford says the ordinance — which requires 16% of all homes built on Stanford land in unincorporated Santa Clara County to be “affordable” for lower income tenants — is unfair because it only applies to Stanford. The county currently has no similar ordinance for other housing built in the incorporated portion of the county. The suit comes as the university is seeking a General Use Permit from the county to expand its campus by 3.5 million square feet through 2035. It would be the largest single development in the county’s history. Hearings on the expansion plan’s Final Environmental Impact Report are set for this coming spring, and approval of the permit could come by summer. In addition to the housing Stanford would be required to provide under the California Environmental Quality Act, the university is negotiating a side deal — a development agreement — with the county that might provide further benefits to the public in exchange for concessions from the county. Both county officials and Stanford said they do not anticipate for the litigation to delay the GUP or development agreement negotiations. “My view is that this too shall pass. 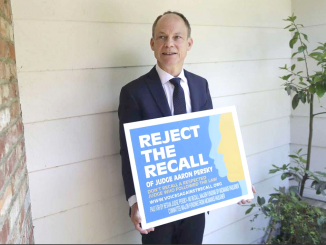 It is the nature of any application that they get what they want and provide as little as possible in mitigations,” said County Supervisor Joe Simitian of Palo Alto. Stanford said it filed the lawsuits today because it faced a legal deadline of Dec. 24 to challenge the affordable housing ordinance, which the county Board of Supervisors passed on Sept. 25. Stanford, in a statement this morning, said it “reluctantly” lodged the suits. “Stanford recognizes the critical affordable housing challenges in our region, which is why the university is a major supporter and developer of affordable housing,” the university said in the statement. “Stanford is a leader in Santa Clara County in this respect, having built many hundreds of affordable units and proposed hundreds more as part of its next General Use Permit. 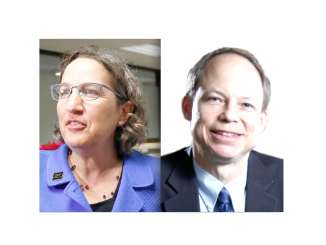 To avoid a lawsuit, Stanford’s attorneys at the firm of Perkins Coie asked the county for a tolling agreement that would extend the deadline for filing suit so something could be worked out in the meantime. “We asked that the county toll the period for filing suit because we believe there is a high probability that we can avoid litigation by arriving at a collaborative, mutually acceptable solution through a development agreement” that supervisors Simitian and Cindy Chavez are negotiating with the university. County Counsel James Williams responded to the request by saying in a Dec. 18 letter that the county Board of Supervisors could suspend the affordable housing requirement (also known as the Inclusionary Housing Ordinance) at any time “if another regulatory tool is approved that would otherwise address the housing impacts of development” by Stanford. In other words, Williams told the university that if there’s another way to address the housing concerns posed by the expansion, propose it now. Both Simitian and Williams said today that they are “disappointed” with Stanford’s lawsuit. “We disagree with Stanford and very disappointed that Stanford has chosen to litigate instead of addressing the affordable housing needs that even Stanford itself has,” Williams said, adding that the county will be responding in court and he is confident that the ordinance’s legality will hold up. As of this evening, Williams’ office had not been served with either lawsuit. The lawsuit indicates that Stanford has issues with two ordinances passed by the board of supervisors — the affordable housing ordinance and another ordinance that requires Stanford to pay the county $155.8 million, or $68.50 per square foot, in affordable housing fees in order to do its expansion. The university had argued that the fees had been calculated in a faulty study and instead offered to pay between $38.7 and $45.5 million. The fee the county settled on is about half of the $325.6 million that a study performed by the county initially suggested, or $143.10 per square foot. That’s lower than a study conducted by the city of Palo Alto, which found that the highest lawful developer fee within city limits could be a whopping $264 per square foot. 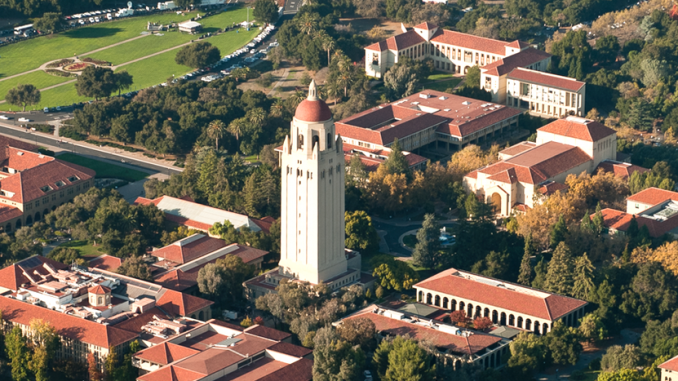 Stanford said in its lawsuit that it will be filing a separate suit over the housing fees. Thanks for attaching the actual lawsuit. It looks like it’s going to be a long hard battle to get Stanford to do its fair share in mitigating the housing crisis that they’ve helped to cause. Stanford has this uncanny knack of killing any public support with moves like this. “Stanford is a leader in Santa Clara County in this respect, having built many hundreds of affordable units…” Except they are all graduate student residences, low-income employees because Stanford won’t pay them enough to stay off food stamps nor provide reasonable health benefits! Stanford is increasingly like a dragon sitting on a hoard. They aren’t just an educational institution any more. A lot of their land is dedicated to research space that serves business. They are accumulating enormous wealth and hide behind their non-profit status. I think government should start taking a very close look at what portion of university growth and activity actually merits tax protection–especially when they behave like this toward their own underpaid employees and post docs. When Princeton University announced it had settled litigation with area homeowners who had argued it is a profit-making institution in order to challenge its exemption from property taxes, it appeared to be paying millions of dollars to clear long-lingering uncertainty. But the agreement, announced Oct. 14, leaves key legal issues unresolved in New Jersey. Although the university did not admit its currently exempt property should be taxed, a court did not affirm its tax exemptions, either. Is is ‘Stanford’ or is it Stanford’s ‘Land Building and Real Estate’ that sued. It is all under the name of Stanford Trustees. Who is this orginating from. The old school shot caller.